Schoolwide Assembly During CATCH Class! Fashion & STEP Classes Will Be Signed-Up For Beginning Tuesday. 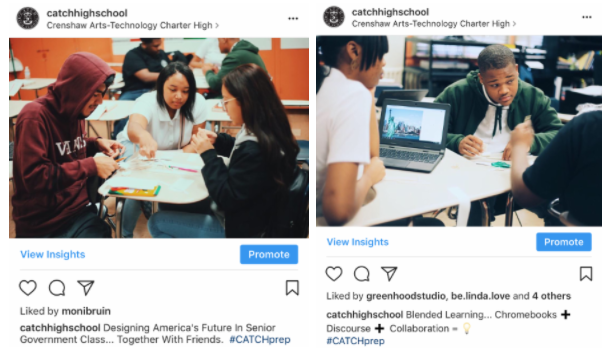 From the smiles to the selfies, this first week at CATCH Prep was all about connecting and reconnecting with friends as the school year got off to a fantastic start. 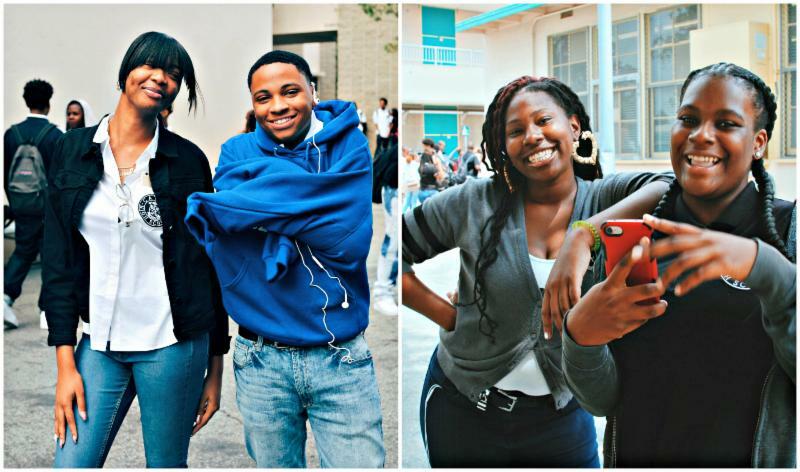 If you're looking for a full slate of photos, just click HERE . Sign-Up For Fashion & STEP Team This Week! 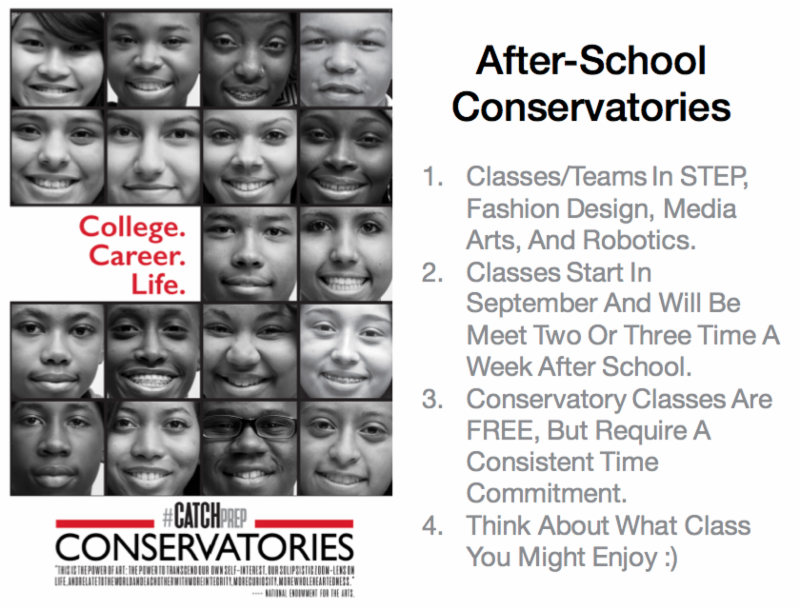 During Monday's schoolwide assembly, Dr. Codio will be explaining Tuesday's Conservatory Recruitment process in which CATCH's Fashion Teacher & STEP Coach will visit Period 1-4 classes to showcase their courses. All interested students should sign-up, and CATCH will call parents to confirm participation. CATCH Prep's Dance & PE teacher, Ms. Tongu, is a professional dancer with stage credentials from the United States to Austria. Her Dance Class is already a hit , and we're prepping for a Dance Troupe later this Spring. Great news! CATCH has secured 250 FREE tickets for all students to attend UCLA football's first home game of the year at the Rose Bowl. The game will take place on SUNDAY, SEPTEMBER 3, 2017 @ 4:30pm and will be broadcast live on FOX. If your student is able to attend, please SIGN-UP using this form. 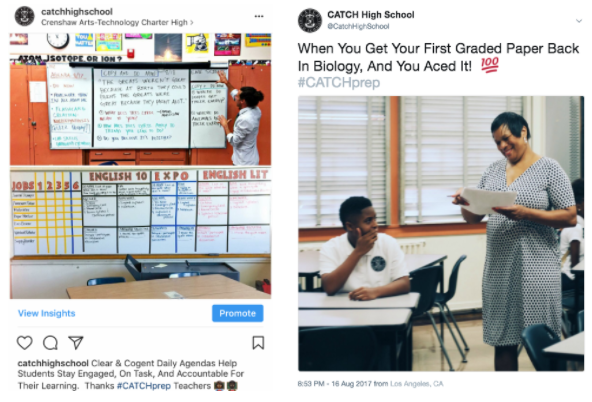 Grades are updated weekly at CATCH, and we encourage all families to check our Powerschool Portal to learn about their child's academic achievement. As we prepare students for life in college, knowing their academic standing is key. All students at CATCH Prep use chromebooks as a part of their daily learning at school. 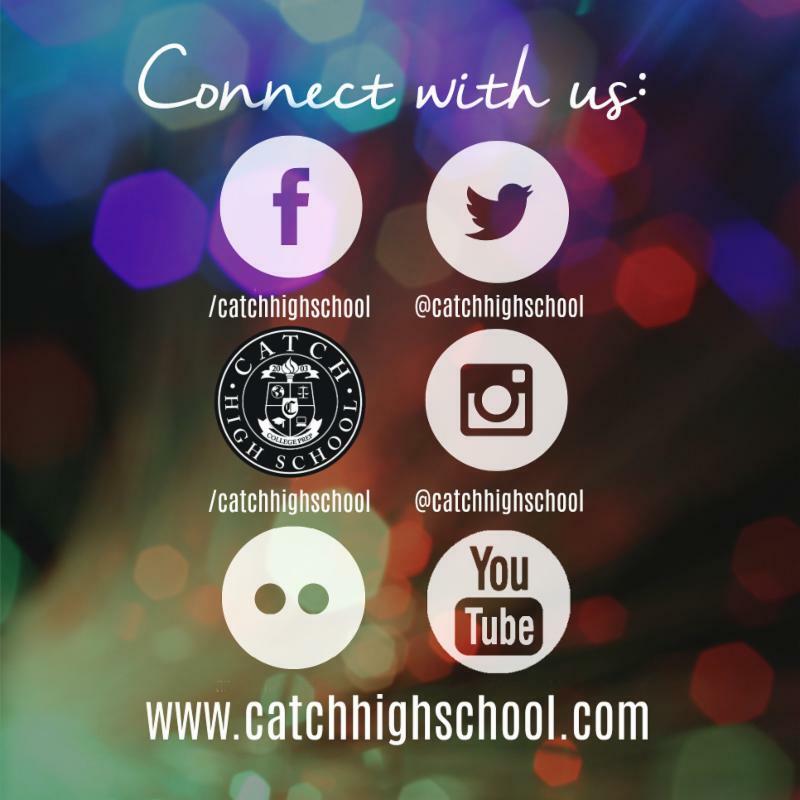 As such, CATCH provides students with a custom email address and password to use GMAIL, GOOGLE DOCS, and GOOGLE CLASSROOM anytime. For instructions on how to log on for you our your child, just click HERE . 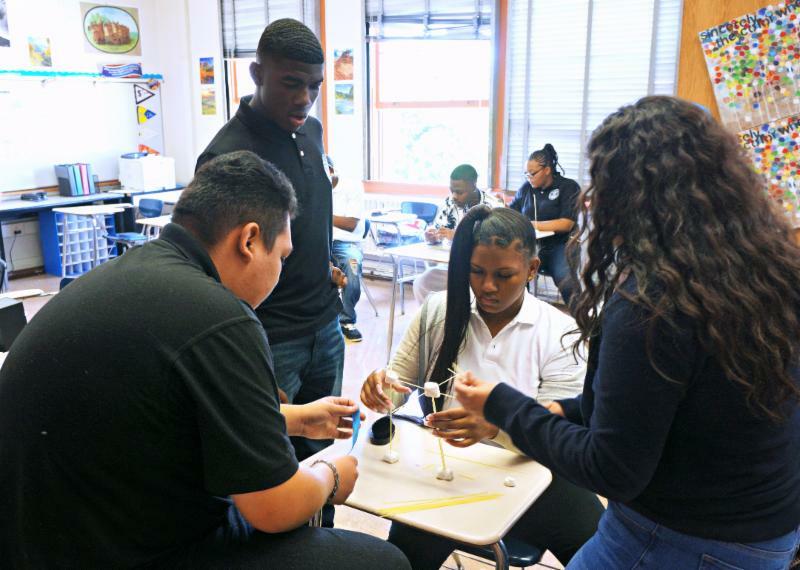 When Mr. Park asked his students to construct a Marshmallow Tower using only raw spaghetti sticks, tape, and string , there was only one way his Seniors were going to be successful: TEAMWORK. Collaboration ended being key to this design challenge, and the day's highest tower was 20".